Next month, we will be reading IN THE GARDEN OF BEASTS by Erik Larson. I have been wanting to read this one ever since BEA so I'm looking forward to it. Having said that, I'm a little worried about some of the reviews out there, but for the most part, they seem to be generally positive. 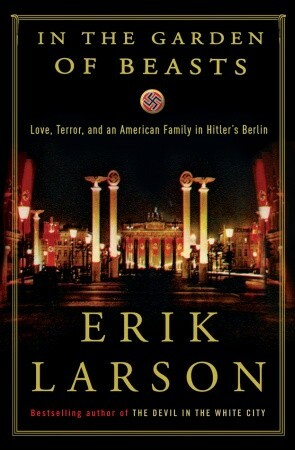 Summary: Erik Larson has been widely acclaimed as a master of narrative non-fiction, and in his new book, the bestselling author of Devil in the White City turns his hand to a remarkable story set during Hitler’s rise to power. I reviewed IN THE GARDEN OF BEASTS by Erik Larson a few days ago, and I have to say that this book will not be going down as one of my favorite reads of 2012. However, I was curious to see how my friends would feel about this book. Maybe I would be in the minority since I'm not a big fan of historical books? So we met this week to discuss this book and I'm still not sure how everyone felt about it. I don't think anyone absolutely loved it and no one admitted that they hated it. So I guess I have to say that we all had a pretty similar reaction to it. It was an interesting read, but at the same time, it was a rather dry in certain spots. 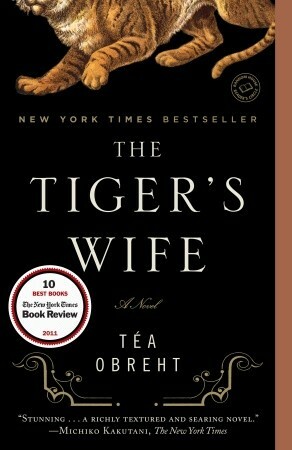 Next month, we will be reading THE TIGER'S WIFE by Tea Obrecht. February is actually my month to host book club so THE TIGER'S WIFE was my selection. I have read so many incredible things about this novel and the author, and I hope it lives up to my expectations. I admit I'm a bit worried because the initial feedback from my friends hasn't been overly positive. Not totally negative either, but I'm keeping my fingers crossed that at least a few of us will love it. I'll be interested to hear about The Tiger's Wife! My book club acts like that no matter what book we read and sometimes it frustrates me! I'll be anxious to see what you think of The Tiger's Wife - I met the author and thought she was wonderful! Sometimes it is good to inspire hate or love, but the in-between stuff is maddening. I would have been happy to jump in and spew some criticism just to rile them up. I did not likey. And here I sit, having to admit I love "In the Garden of Beasts". Enough so that I sought Erik Larson's other books and read them. Something about his research caught me. Did anyone feel badly for Dodd being out of his element? I really liked this book, it was horrifying to be sure but it was also very well written and informative. I certainly sympathised with Dodd and the dreadful position he found himself in, I think his whole family was unsuited for the roles they found themselves in quite frankly but Dodd in particular was very badly manipulated by those who had different values and slightly different agendas.